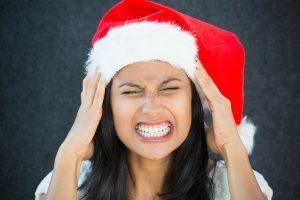 The Holidays can be stressful, but it doesn’t have to be that way. T’is the season for holiday cheer. Time spent with families and friends. But for many, this time of year is full of stress, anxiety, and weight gain. If the picture to the right is what you envision yourself looking like when you hear that the holidays are coming, rest assured that you are not alone. Many of us get stressed out with the planning, cooking, gift wrapping, cleaning, etc. To learn more about Precision Fitness, visit our homepage.